WATTLE is the most secure Cryptocurrency wallet, created to simplify storage, exchange and trading. One single user-friendly device for a wide range of financial operations. Last Generation Fingerprint with High performance sensor that make Superior 3D image quality and Ultra-low power consumption. Hard and scratch-resistant protective surface coating capable of more than 10 million finger placements. Full Color Amoled display with 240×536 pixels and diagonal size 1.91 inch. Protected from damage and scratch by Resistant Cover Glass. Waterproof integral aluminium alloy body for best component protection, comfortable usage and data security. USB Type-C for connecting to PC or Mac and Bluetooth for Wireless connection to PC, Mac, Android or iPhone. All personal data are encrypted with AES 256 Algorithm and saved securely in cryptographic module. Storing becomes as simple as you want, providing the possibilities of full access to your funds while enjoying financial flexibility. A wide range of financial services and business transactions with immediate access to the top trading platforms for the effective management of the user’s personal finances. 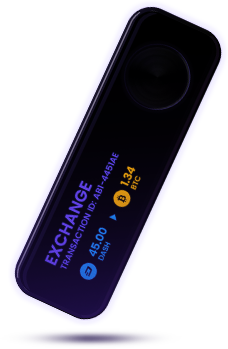 The possibility to buy and sell more than 40 cryptocurrency at the market exchange rate inside the wallet within seconds. The streamlined process makes any cryptocurrency transaction simple and secure. Wattle is created wiath care about user. Intuitive authentification way accessible for everybody. Aesthetically pleasing device created withhigh-quality materials. The latest generation of fingerprint technologies for the user safety and the instant possibility to make transactions. Quickly access to customer support that ensures a comprehensive set of solutions for user needs and issues. Wattle is the world’s ﬁrst ﬁngerprint protected multi-sig cold storage wallet, that has its own desktop and mobile app has its own desktop and mobile app aggregating multiple exchanges under one platform. 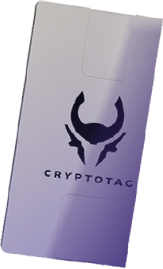 Wattle company in cooperating with Cryptotag create awesome bungle for our clients. Into one single box you will receive two products. Wattle wallet Device with crypto recovery seed and private keys forever stored in pure Titanium.